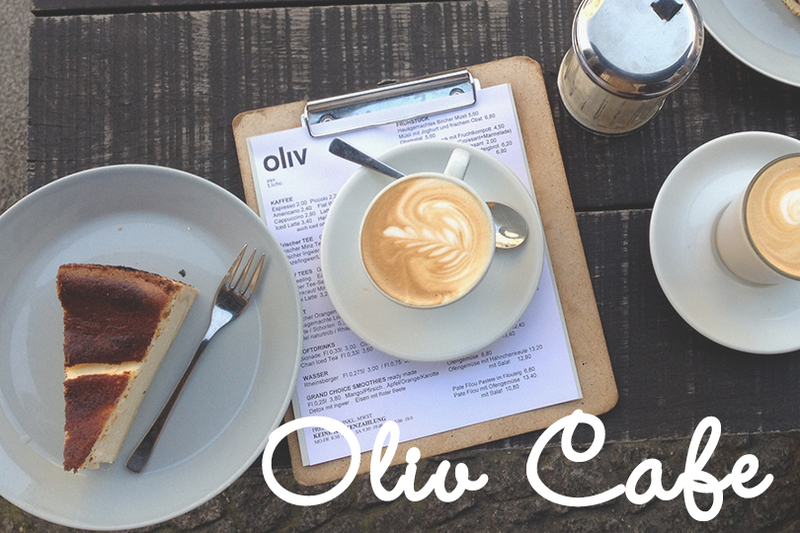 Get in a great mood with a little help of a delicious slice of cheesecake at Oliv Cafe in Mitte. Their cheesecake is different from the German version – that is, to be honest, often too dry and dense for my taste- this one has a more creamy texture, brought to taste with a hint of sweet vanilla. The cheesecake combines perfectly with the slightly bitter coffee they serve. 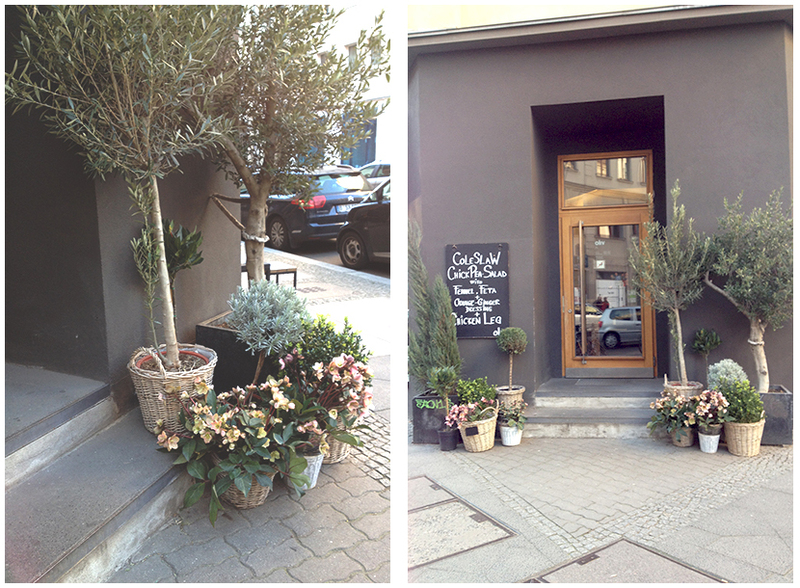 I can honestly say that they bake one of the best cheesecakes in Berlin! Next to delicious cakes, the friendly staff also serves great breakfast food and experimental lunch dishes, all organic. For example, since this week, a red cabbage salad with chickpeas, fennel, feta, walnuts with an orange-ginger dressing is on their menu. A minor point is their restroom, it’s quite small and difficult to find (behind the bar!). Their interior is minimalistic, with dark grey concrete walls that make the art work on the wall stand out. 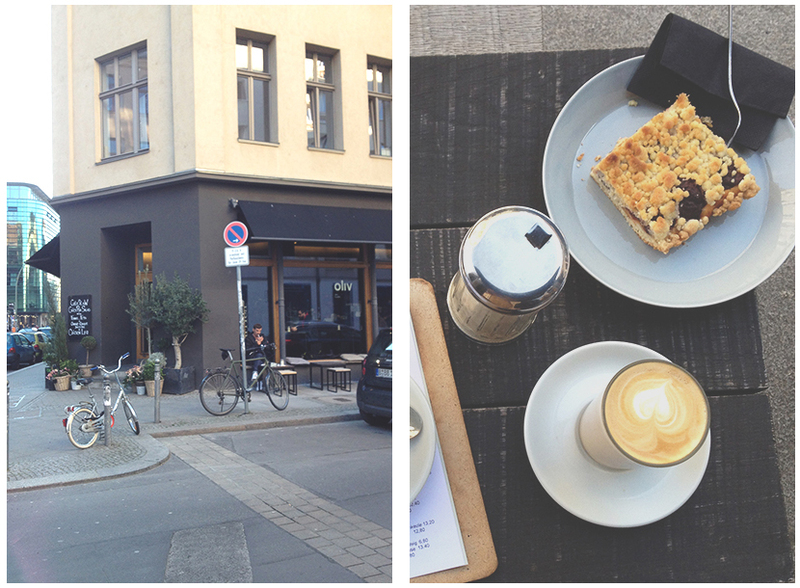 The windows of Oliv Cafe are huge, they give you a good view on the busy Münzstraße. Their customers are mainly tourist and locals that are around 25-35 years old. Be aware that strollers are not allowed. So, visit Oliv Cafe, pick a table next to one of their giant windows and let their delicious cheesecake bring a smile to your face.